As with much of the Upper Silesian industrial metropolis, there's a bit of a gray area concerning just where Katowice ends and Chorzów [whore-zyoov] begins. Technically speaking Chorzów lies a mere 7 km northwest of Katowice. 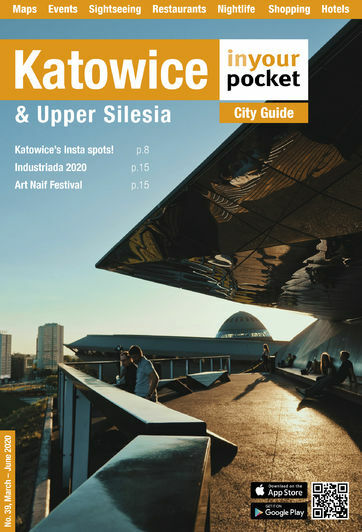 Luckily the winds of commerce have paved paradise and put up a whole lot of shops in the form of Silesia City Center, which marks the beginning of the end of Katowice. A few tram stops/traffic lights further on ul.Chorzowska brings you to the Silesia Park - one of the largest urban parks in Europe - and Chorzów has the lucky distinction of claiming it within its borders. While just a few years ago we would probably have recommended a trip to Chorzów consist solely of a day trip to the Park to explore its many attractions, we can now honestly recommend digging deeper and exploring Chorzów proper, i.e. the place beyond the pines. Since this is Poland, history is one’s first consideration when endeavouring to discover a new city. Silesia as a whole has a somewhat parallel history to the rest of Poland which can be boiled down to the development of heavy industry in the 19th and early 20th century. The city of Chorzów is no exception and it was only officially formed in 1934 after the Silesian Uprisings and subsequent peace accord awarded Silesia back to Poland. Chorzów effectively consolidated four industrial factories and their surrounding infrastructures into one sprawling industrial town. Before the industrial revolution left its indelible mark, various villages existed in this location since the 12th century. Polish, German and Czech influences in the region led to constant name changes throughout the centuries. Beginning with the 12th century Chorzów was known as Zversov, Coccham, Charev, Charzow, Königshütte and finally (our personal favourite) Hajduki (which loosely translates to ‘Bandits’). After only just coming into existence, Chorzów fell under Nazi control during the WWII. Through a bit of luck or a flat out fluke, the city’s vast industrial infrastructure mostly escaped WWII intact, which led to its rapid growth and increased importance in postwar communist Poland. Since 1989, Chorzów, like much of Silesia, has been slowly transitioning from heavy industry to a more diverse economy. Back to the present, the most logical place to start your exploration of the centre is the most illogically named location in the whole city: the Rynek. While this word technically translates to ‘market square’ and usually connotates a huge open space with pedestrian markets and bucket-loads of charm (i.e. Kraków), overly ambitious city planners decided to convert their market square into a highway underpass (sigh). You’ll have to give them the benefit of the doubt and soldier on to the absolute highlight of Chorzów, its high street - ulica Wolności. On this long pedestrian promenade (just look out for trams!) you'll find the town’s primary shopping, dining and nightlife opportunities. Once you’ve tired of cruising the strip turn onto the town’s most promising side street - ulica Jan Sobieskiego III. Here you’ll find some of the newest and coolest bars, restaurants and even a microbrewery to boot! Unlike neighbouring Zabrze, Chorzów has a significant lack of museums for your perusal. With that said Chorzów has many other recreational, cultural and nightlife offerings to keep even the most demanding visitor busy for days. The Silesia Park is indeed an endless bastion of entertainment options for the whole family all year round. The Park is by no means however the end all be all of the town’s impressive cultural offerings. The Chorzów Cultural Centre (Chorzowskie Centrum Kultury) is a veritable hub of activity and hosts countless events and concerts year round while the Teatr Rozrywki (Entertainment Theatre) presents some of the best musical theatre, drama and concerts in the whole country. Like all of the towns and cities in the vast Silesian metropolis, Chorzów has undergone and is undergoing rapid changes that are transforming the city at a torrid pace. The gastronomic, entertainment and recreation options are already truly world class and you can now find some of the nicest hotel and spas in the region in this somewhat unassuming city. We’ve highlighted numerous places on the following pages, all of which are worth your time and attention. If there’s one thing you should seize from this brief intro though, Chorzów is truly the City of Leisure.